We are counted amongst the foremost manufacturers, suppliers and exporters of Pliers that are manufactured from high grade raw material procured from some of the certified vendors of the industry. These pliers are manufactured in compliance with set quality standards. Our organization is engaged in the manufacturing and supplying of Hydraulic Crimping Pliers that are made using premium quality material that makes the range highly durable and strong. These are providing in different specification to meet the diverse requirement of client. We are offering our customers high quality Hydraulic Crimping Pliers, which are highly appreciated by our customers. These products are manufactured by fine quality material, which ensures its best quality. These are provided in different specification to meet the diverse requirement of client. Our workforce is engaged in the development of variety of Hydraulic Crimping Pliers using technically latest mechanisms with high quality raw materials. Our products are very easy to use hence they are widely used in distinct purposes of electrical engineering. We are offering our client an excellent quality range of Hydraulic Crimping Pliers. 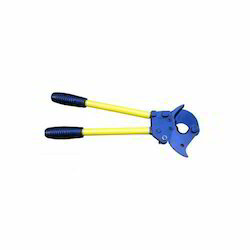 These Hydraulic Crimping Pliers are made from very high quality raw material which ensures high durability at its user end. 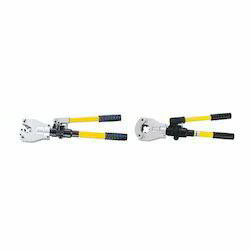 These Hydraulic Crimping Pliers are available in various designer patterns and designs. 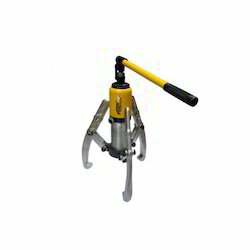 We are offering our customers an excellent quality range of Hydraulic Gear Pullers. These products are manufactured from qualitative range of raw materials, which is quality checked by our team of experienced professionals. 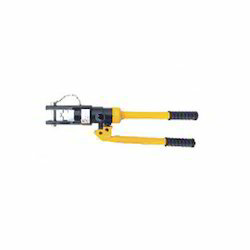 We offer these Hydraulic Gear Puller at most competitive prices.